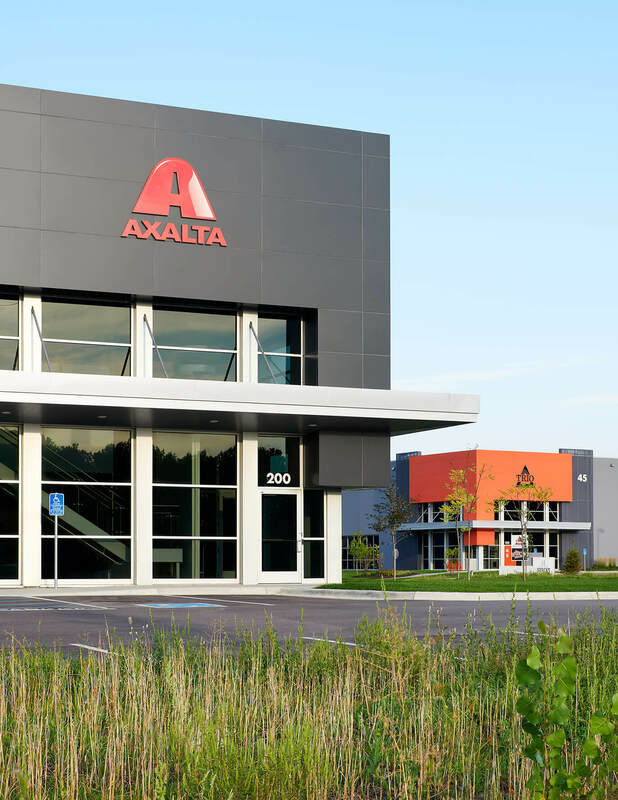 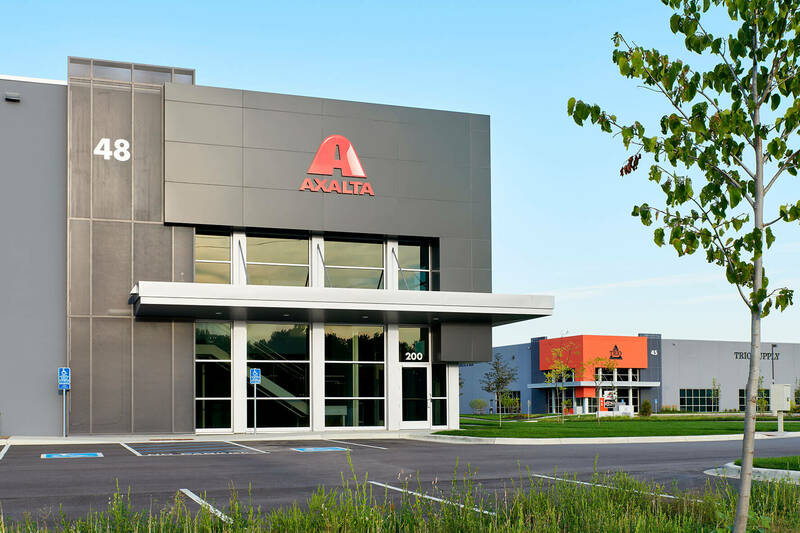 Axalta Coatings, Inc. is one of many new tenants in the Northern Stacks development in Fridley, MN. 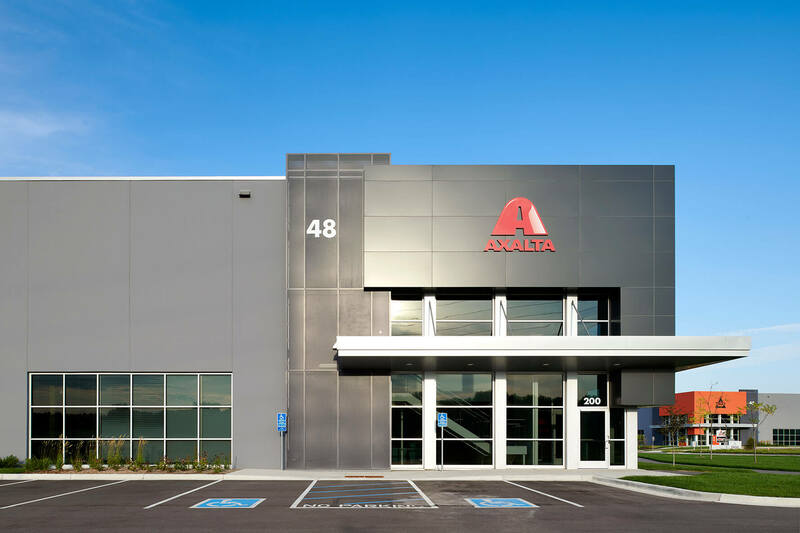 The development’s location and proximity to freeways and downtown Minneapolis is one of the aspects that attracted Axalta and led to the relocation of their facility which consists of research and development, warehousing and coatings production, laboratory and corporate office space for the company’s Industrial Wood coatings market. 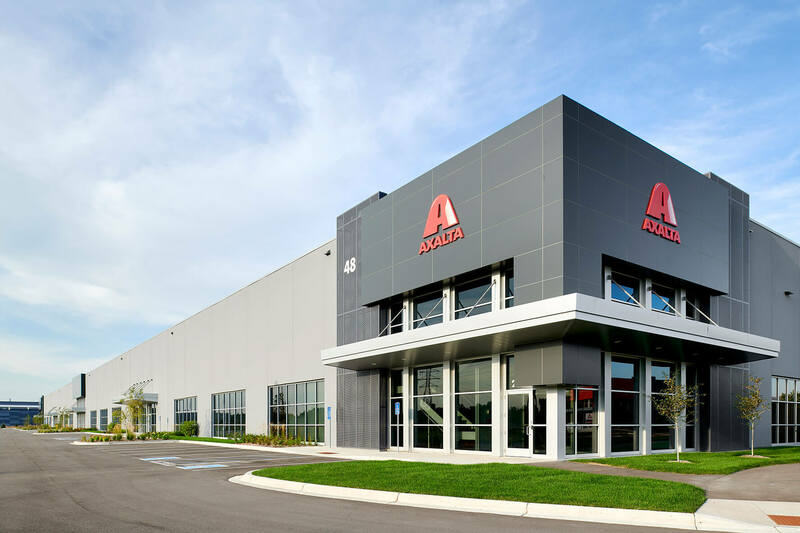 Mohagen Hansen was able to expand on Axalta’s existing national design standards to introduce new colors and a more updated way of using them. 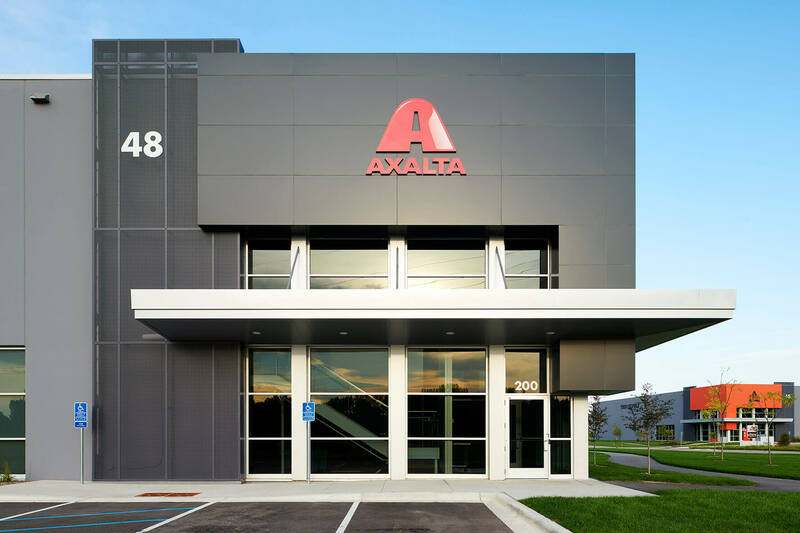 We worked closely with the Axalta’s marketing department to determine most impactful ways to implement the company’s branding elements. 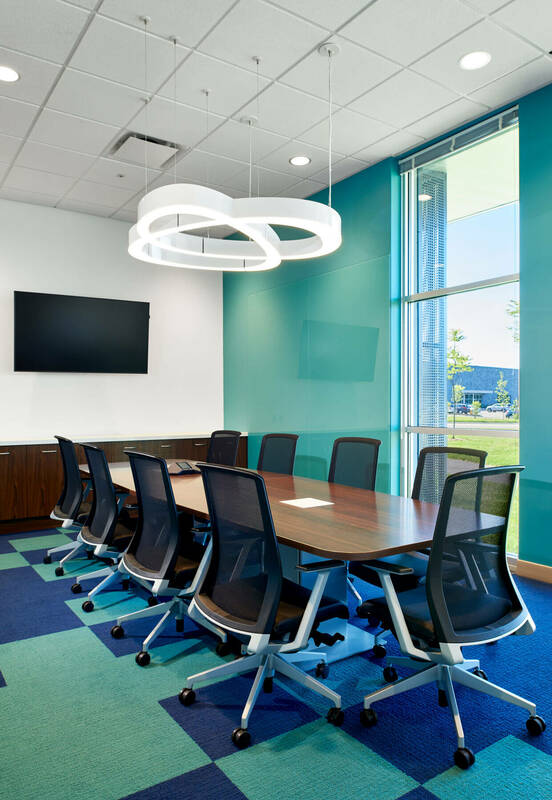 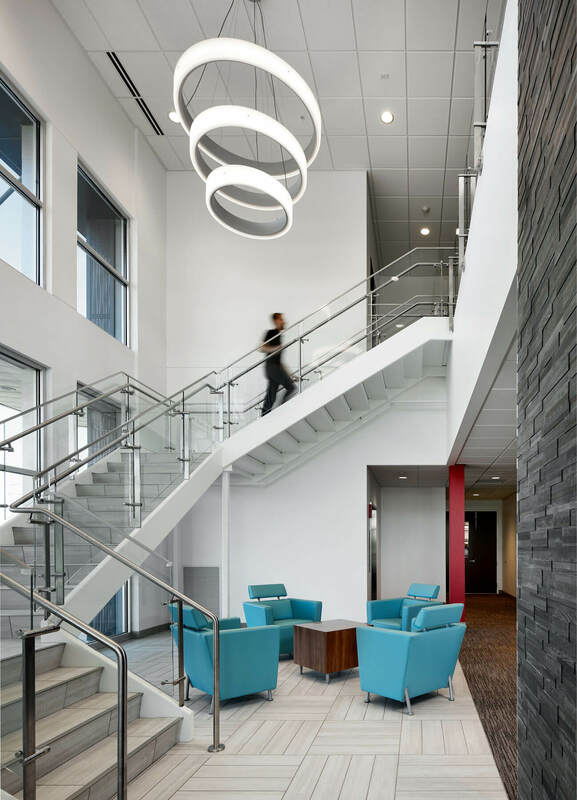 The conference rooms are named by the color within, and include a full colored wall of glass markerboard, while the furniture styles utilized came from Axalta’s existing furniture standards. 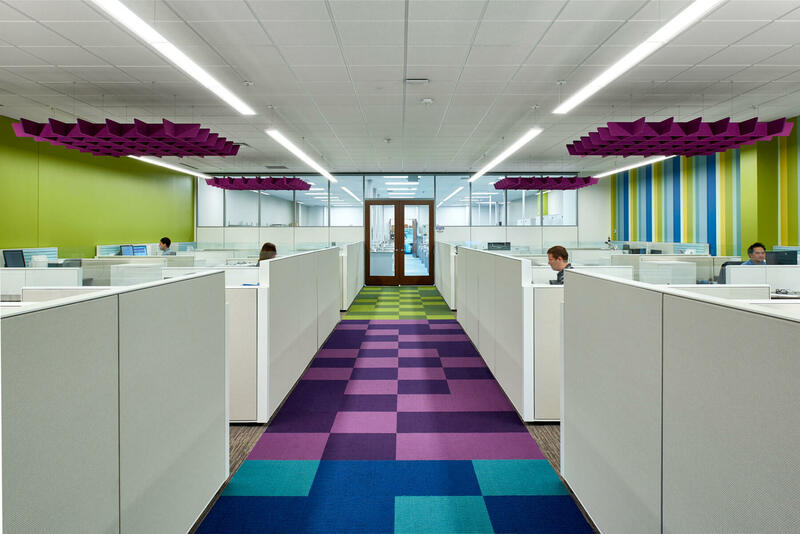 Axalta representatives were fun and adventurous making them open to a variety of furniture fabric colors and patterns. 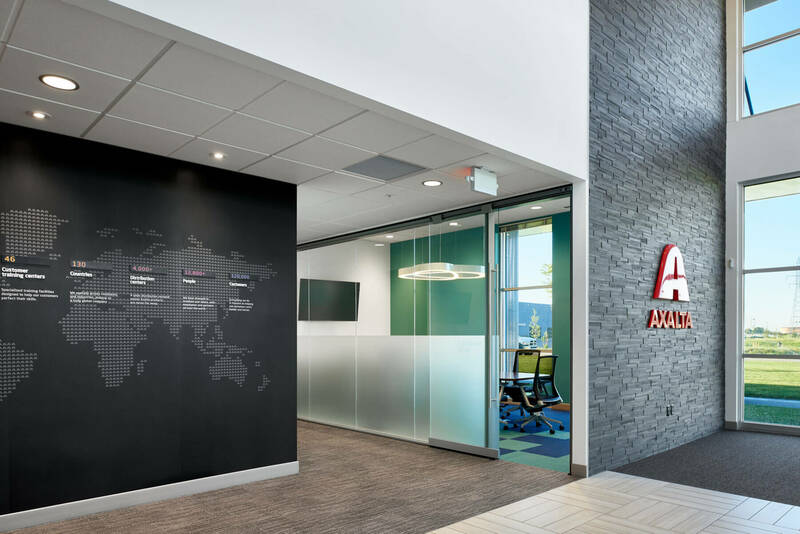 Upon entering the space, employees and visitors are met with a floor to ceiling deep toned wood plank wall that shows off the red Axalta logo. 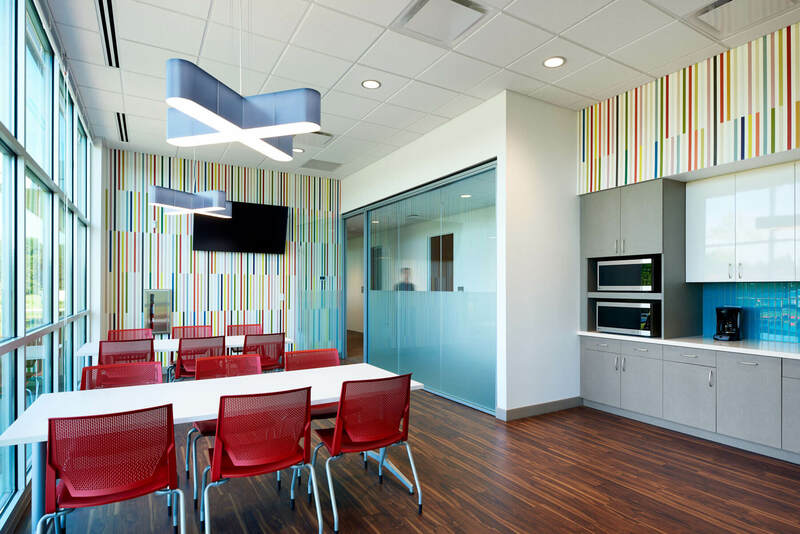 Throughout the space abundant natural light enhances the already bright and playful design concept.